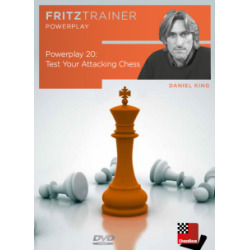 Daniel King - Power play 20 - Test your Attacking Chess! Every chessplayer should have the ability to play a direct attack against the enemy king. Positional chess is important but one has to be able to recognise when to launch an attack. Checkmate ends the game. 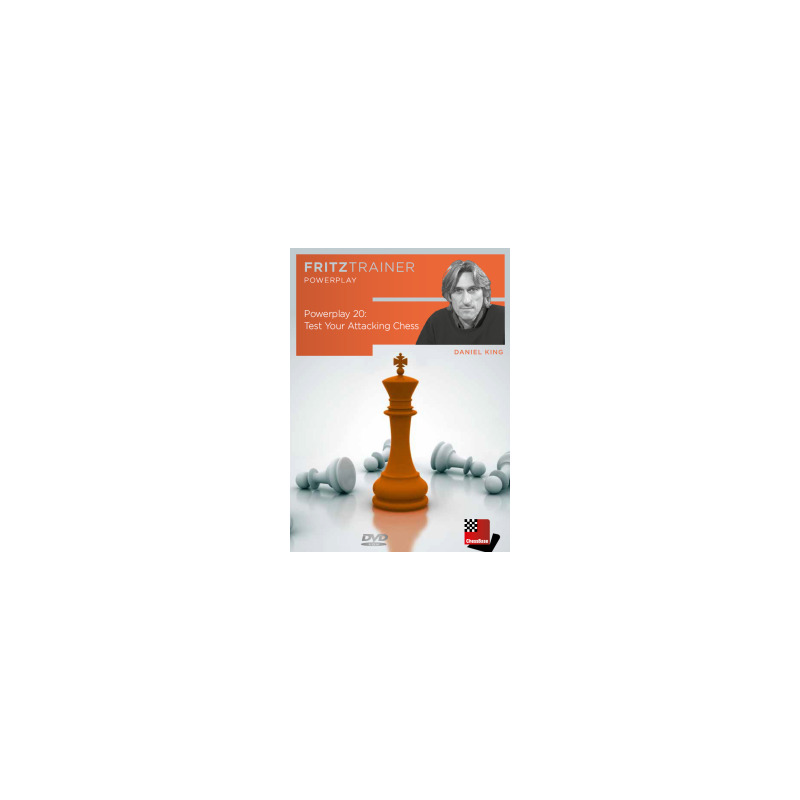 This DVD has two aims: · To test your attacking ability · To provide you with an arsenal of potent attacking ideas Using the new Fritz Trainer interactive system, Grandmaster Daniel King presents ten exemplary attacking performances. At key moments he stops and asks you to play a move. King then gives feedback on the most plausible continuations using video clips. It’s the next best thing to having your own personal trainer! Minimum: Pentium III 1 GHz, 1 GB RAM, Windows Vista, XP (Service Pack 3), DirectX9 graphic card with 256 MB RAM, DVD-ROM drive, Windows Media Player 9, ChessBase 12/Fritz 13 or included Reader and internet connection for program activation. Recommended: PC Intel Core i7, 2.8 GHz, 4 GB RAM, Windows 7 or Windows 8, DirectX10 graphic card (or compatible) with 512 MB RAM or better, 100% DirectX10 compatible sound card, Windows Media Player 11, DVD-ROM drive and internet connection for program activation.